I’ve added two new cuffs to my shop. I’m trying to have more pre-made examples in my shop, which of course means making more for myself! All cuffs will continue to be made-to-order, but with more specific examples. 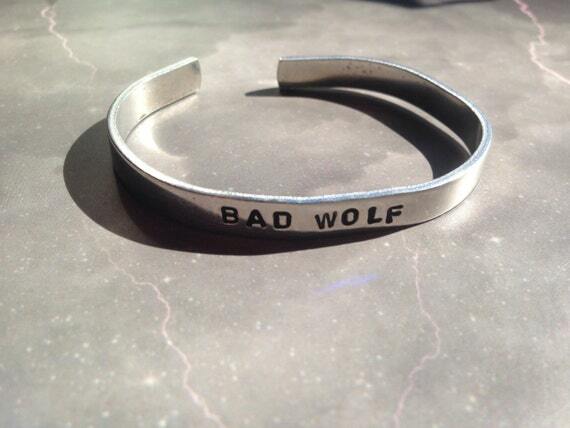 Before I started making cuffs for myself I had bought a bad wolf one. I ended up giving it to a friend one night at the pub.I figured that he wanted me to make him one, and rather than wait I just gave him the one I was wearing and made one for myself later. I also wanted to experiment with the new calligraphy font that I’ve got. 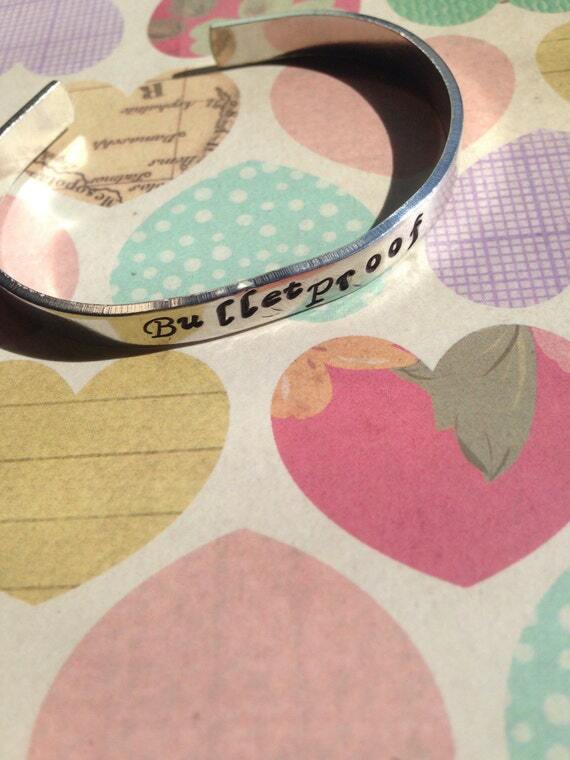 So I looked through my notebook of other peoples words and settled on Bulletproof.